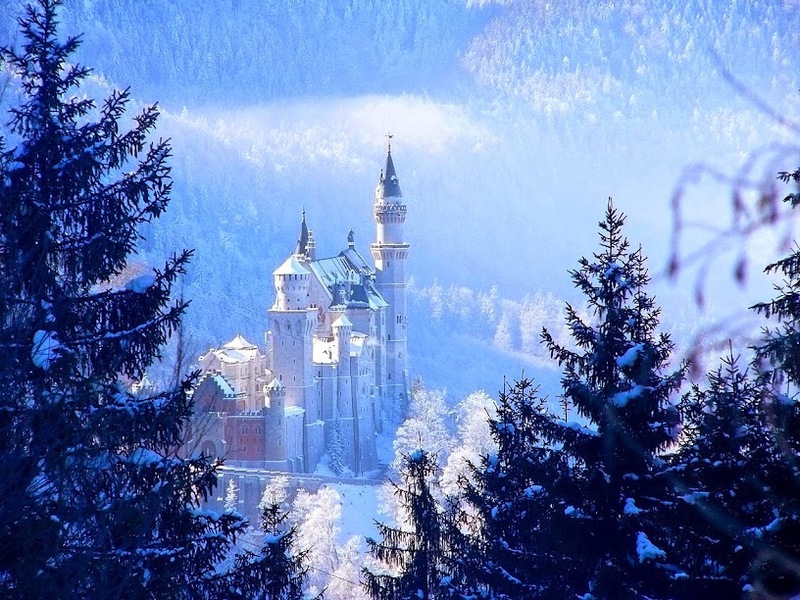 Walt Disney used it as inspiration for the castles of Sleeping Beauty and Cinderella, and it is often seen as the perfect example of 19th-century Castle Romanticism. 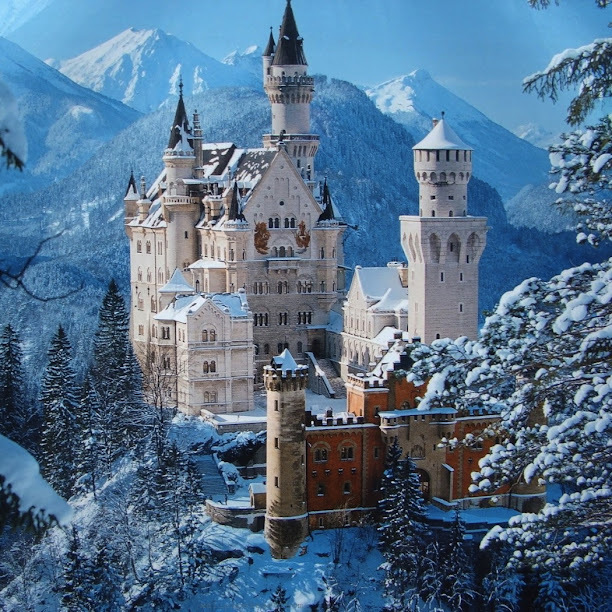 This inspirational castle is Neuschwanstein, located in Bavaria, Germany. 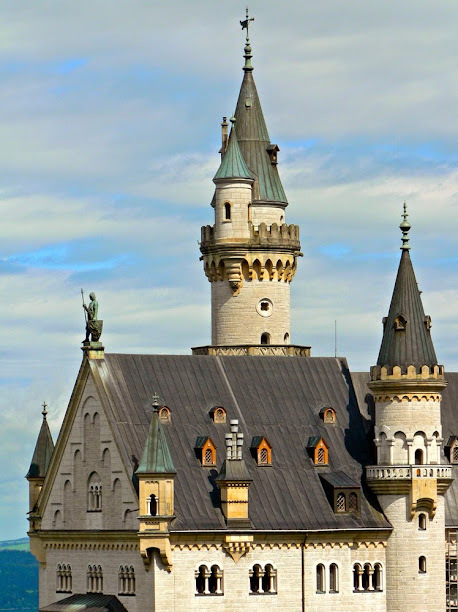 Neuschwanstein Castle was King Ludwig II’s mad project. Ludwig loved stories of knights from the Middle Ages, and he loved Richard Wagner’s operas, many of which are based on medieval stories from the Germanic world. He was quite an eccentric king, so he decided to build a castle to make that medieval world come back to life. Construction started in 1869 and stopped in 1892, six years after Ludwig’s death. The castle mixes different styles from the Middle Ages. There is Romanesque with the round arches and heavy walls, as well as Gothic with the pointy towers, for instance. 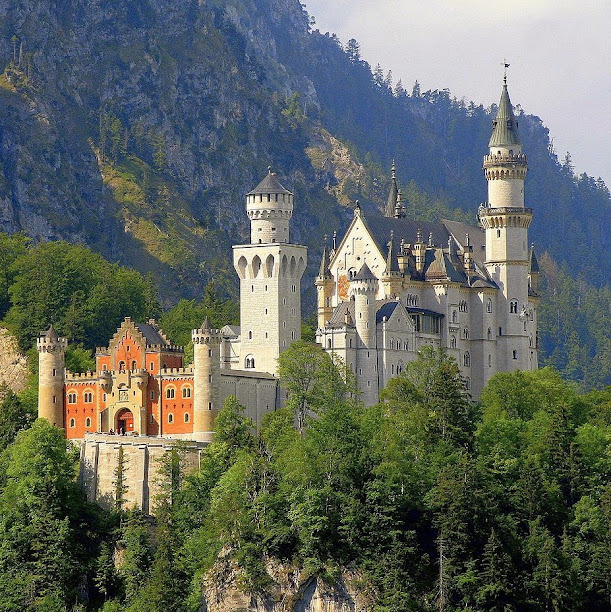 Neuschwanstein was highly criticized for its price and kitsch when it was built, but it has become the most famous castle in Germany, attracting over one million visitors every year. Most significantly, it continues to inspire dreams of knights and princesses that are still very much part of western popular culture today.